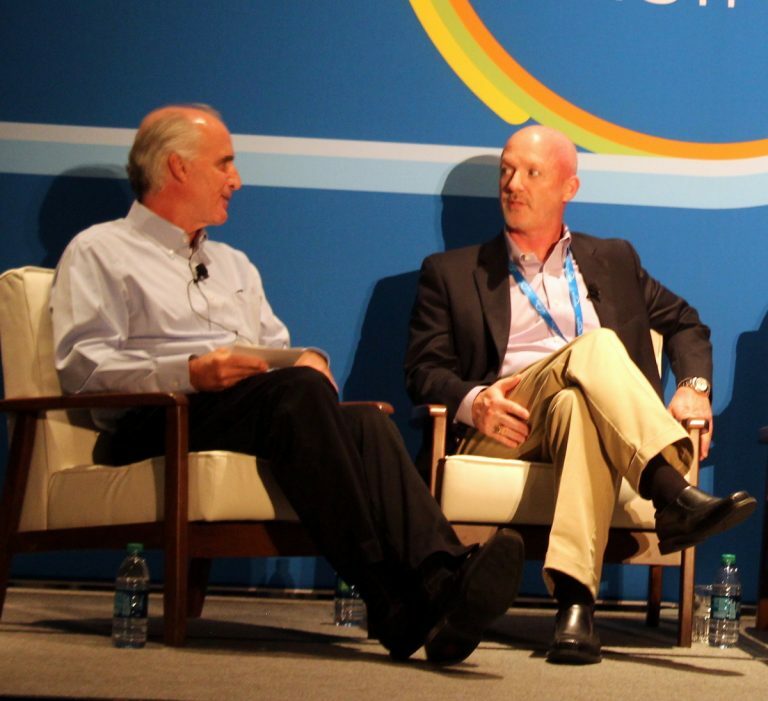 At Workday Rising, Stan Swete, executive director of technology at Workday, led a panel of three customers who talked about why they chose Workday and how they know they made the right choice. Jay Gilmore, chief accounting officer and corporate controller at Denny’s, has been at the company for 18 years. He noted that although many people think of Denny’s as an American company, it has restaurants in countries across the globe, including Asia, the Caribbean, Central America, and the Middle East. Additionally, Gilmore explained that the company’s leadership team wanted a cloud-based system, to reduce IT spend, and stay open to the possibility of having HR and finance on the same platform. Maggie Spong, vice president of talent acquisition at AstraZeneca, a global, science-led biopharmaceutical business, inherited a Workday deployment when she started her position—but was pleased because she had used Workday at her previous company. Whereas Gilmore said that the family of Denny’s restaurants is really more like many small businesses operating under one umbrella, Spong has put Workday Recruiting to the test: AstraZeneca hires around 10,000 people every year, with the UK, U.S., Sweden, and China as the main talent hubs. Even though each person on the customer panel had a different story, they had one major point of agreement. Because the General Data Protection Regulations (GDPR) take effect in May 2018, any company that does business in Europe better get ready, and fast. The panelists also agreed that managing a global business is easier with Workday. Spong said that they’ve tweaked their hiring model: They post a job and then see what location has the most qualified candidates. “If the best candidates are in the U.S., then the position will be U.S.-based. If the best candidates are in the UK or somewhere else, that’s where the position will be based.” It’s a simple but powerful idea that turns the traditional model of applying for a job in a certain location on its head. Spong added that she’s collaborating with Workday to design features that will help her cultivate relationships with talented people who either aren’t looking for work at the moment or don’t match any current openings.